Set of twelve (12) S. Kirk & Son sterling silver bread plates with floral repousse rims. 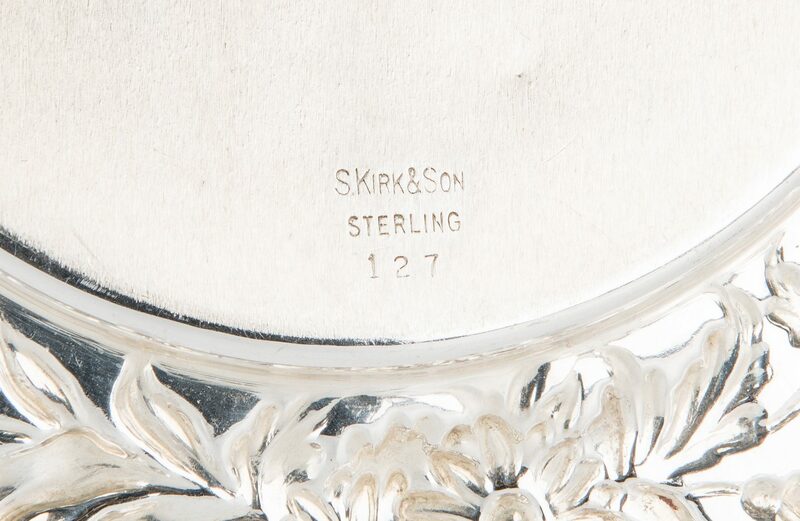 Undersides marked "S. Kirk & Son/Sterling/127". 6 1/8" dia. 48.830 troy ounces. CONDITION: Overall good condition with light surface scratching.